Got bugs in your stored foods? Learn proven, natural and organic remedies to get rid of pantry moths FOREVER! 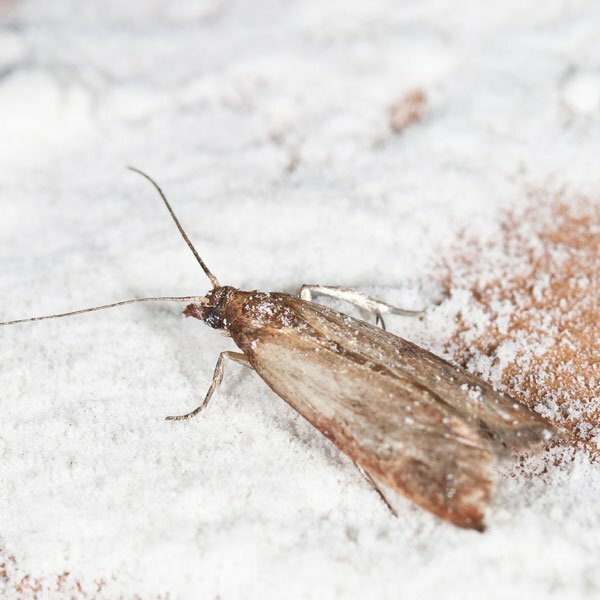 The pantry moth or Indian meal moth (Plodia interpunctella) is considered to be the most troublesome pest infesting stored products in the United States. They attack all cereal products, whole grains, dried fruits, pet foods, bird seed, dried milk and nuts. Damage is caused by the larvae spinning silken threads as they feed and crawl, thus webbing the particles of food together. Small moths are often noticed flying in a zigzag fashion around kitchens and other indoor areas. Pantry moths (5/8 inch wingspan) are pale gray in color and are easily distinguished from other grain infesting moths by the reddish brown or coppery luster of their outer forewing. Fully grown larvae (1/2 inch) have brown heads and are dirty white in color, sometimes tinged with green, yellow or pink. They are extremely active. Adult females deposit up to 300 eggs on or near food materials. 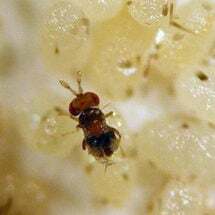 Within two weeks larvae hatch and begin actively feeding. As they move they spin silken threads throughout the infested foods, which may become matted with webbing. Larvae feed for approximately two weeks until fully grown and select a pupation site (cracks and crevices, pantry walls, ceilings) where they spin cocoons. Transformation to pupae occurs, and adults emerge in about 30 days. The entire life-cycle requires 4-6 weeks to complete and there may be five overlapping generations per year, depending on temperature. Note: This major pest of dry foods is often introduced into the home via packaged goods and groceries purchased at the store. Inspect foods for possible infestation before you purchase. Look for webbing and small holes in the packaging. Store susceptible food products in tightly sealed containers. Infested food items can be thrown away or salvaged by freezing for one week. Clean up food spills promptly, paying close attention to cracks and crevices. Vacuum problem areas in the kitchen. Empty after use to prevent reinfestation. 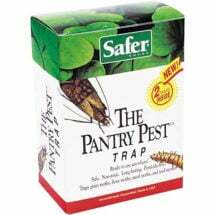 The Pantry Pest Trap uses a powerful attractant to detect adult moths. Place near the problem area, generally where dried foodstuffs are stored. 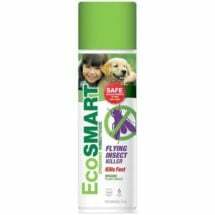 Release trichogramma wasps to attack and destroy pest eggs. 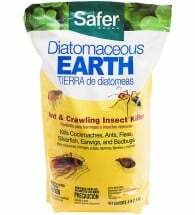 These tiny beneficial insects are very effective because they prevent the pest from reaching the destructive larval stage. 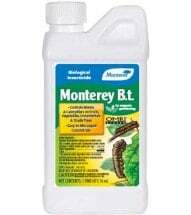 Bt-kurstaki (Bt-k) is a highly selective biological pesticide used to manage the larval stage of this pest. 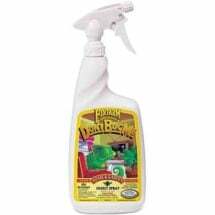 Approved for organic use, it should be applied every 7- to 10-days, as needed. 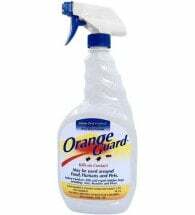 Made from citrus peel extract, Orange Guard kills and repels many bugs on contact. 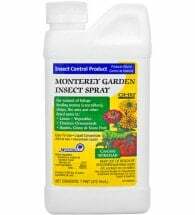 Spray in kitchens, pantries and under cabinets and appliances — anywhere insects hide! 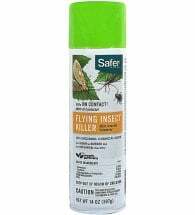 Safe for use around food, people and pets. Note: After all sources of infested food have been eliminated, it may take up to 3 weeks for moths to complete their life-stages. It's time to bite back! This popular formula is derived from chrysanthemum flowers.